On Thursday, August 12, the History Channel’s “The Universe” series produced a one hour report “Magnetic Storm” (link ). 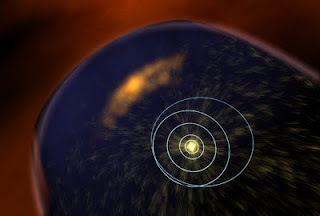 The basic premise is that a sufficiently large coronal mass ejection(CME) from the Sun, which would probably occur at maximum sunspot activity, might overwhelm the Earth’s magnetic field and wipe out all electronics in one hemisphere, first by generating currents in transmission lines and frying transformers. The show simulated aurora lights as far south as Washington DC in 2013, followed in minutes by a coast-to-coast blackout. Then practically all infrastructure systems, like running water, would fail and millions of people in the developed world would die. This is the ultimate “mega-disaster” although the same effect might happen from a high altitude nuclear blast launched by a rogue state (North Korea or Iran), terrorists, or even extraterrestrials. The massive damage from a CME could be more likely after a sudden magnetic pole shift, which hasn’t happened in 700000 years (the subject of Alan W. Eckert’s 1975 novel “The HAB Theory”). That’s because the Earth would have a period with a weak magnetic field. The show took a sidetrip into explaining how Mars lost its magnetic field. Venus also doesn’t have one. Utilities could harden power grid components with Faraday-cage like devices and should start planning to do so now, because a massive CME is unpredictable. A moderate CME knocked out power in much of Quebec for a day in 1989. The 1859 Solar Superstorm is thought to have been strong enough to be capable of knocking out the entire grid if it were to happen today. See this source at Scientific American, link . This was called the "Carrington Event". The film discusses a National Academy of Sciences study in 2009 on CMEs, which I could not find. But here is a rogue copy of a New Scientist report from “GodLike Productions” where the US winds up a “developing country,” link. There was a minor CME in late July 2010. There was a scare over one in October 2003, with minor disruptions to satellites, the same day that Smallville aired an episode about a "Solar Flare". Decentralized power, with solar and windmills, would seem to reduce the risk, too. Maybe the Amish are on to something. See my Movies blog, Dec. 28, 2008. The Amish could survive CME's but not an asteroid strike, which a techie civilization might prevent. Nobody could stop or survive a supernova gamma ray burst, which, however, is much less likely that a CME. Wikipedia attribution link for a diagram. On July 25, right as a brutal thunderstorm exited the DC area, the Weather Channel aired an hour-long episode from its “This Angry Earth” series called “Volcanoes”. 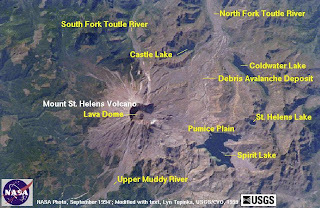 Most of the episode focused on the May 1980 eruption of Mount St. Helens in Washington State. The May 18 eruption occurred after a series earthquake caused a landslide and unplugged a volcanic cap, which exploded the way a pop bottle fizzles. The show focused on local hermit Harry Truman, as well as a young geologist, and others who lost their lives when they were obliterated. Various sites around the mountain were covered with 300 feet of ash, and the mountain lost over 1300 feet of elevation, a kind of natural “mountaintop removal”. The show went on to cover the apocalyptic hazard posed by other Cascade Range volcanoes, especially Mt. Rainier itself, which could become vulnerable to an explosive eruption after a landslide. The show then covered the hazard of the Mammoth Lakes area (also Mono Lake) of the Sierras in California, along US 395, somewhat north of Bishop. An explosive eruption could obliterate everything for 75 miles, and cover the entire country with an ash cloud. I've been in the area several times.The supervolcano caldera around Yellowstone has erupted once every 600000 years (moving East with each eruption) but that hazard was not discussed. Mount Pinatubo in the Philippines erupted explosively in 1991 and was discussed, as were other eruptions in the West Indies and Colombia. 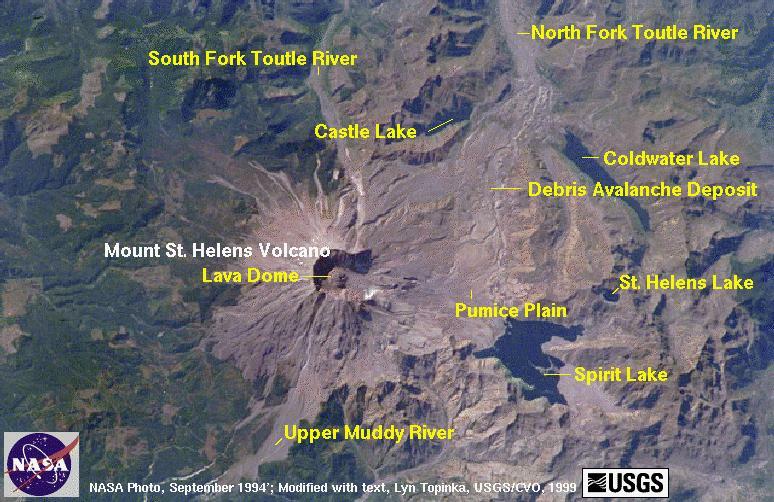 Wikipedia attribution link for NASA view of St. Helens. I flew over it in a commercial flight from Seattle in August, 1980.